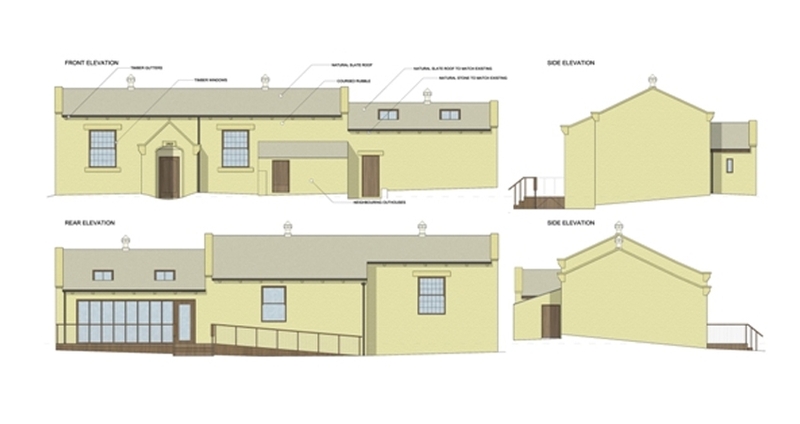 A well-used local village hall was in need of some much needed improvements to bring it more up to date and in line with current standards. A design meeting was held with the Hall Committee, as well as public consultation from members of the local community, to formulate a brief. The design involved the demolition of the existing run down flat roof timber extension, and creation of a contemporary masonry extension. 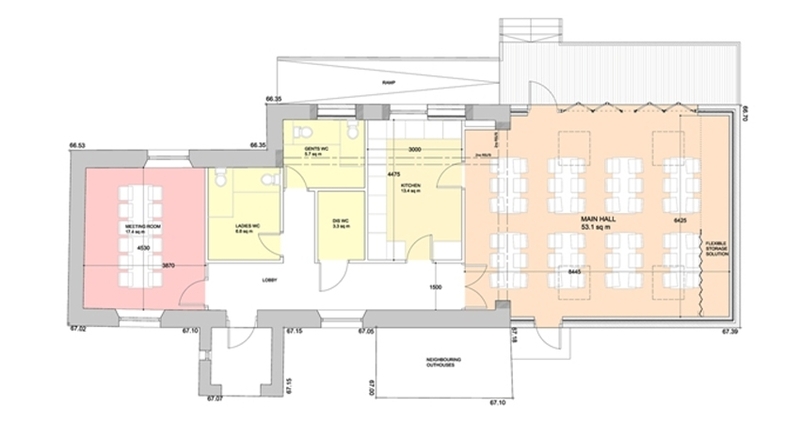 Due to its proximity to the local church, the improvements aimed to make the building more suitable for hosting wedding receptions as well as multiple community uses providing a new meeting room and main hall with upgraded kitchen facilities.